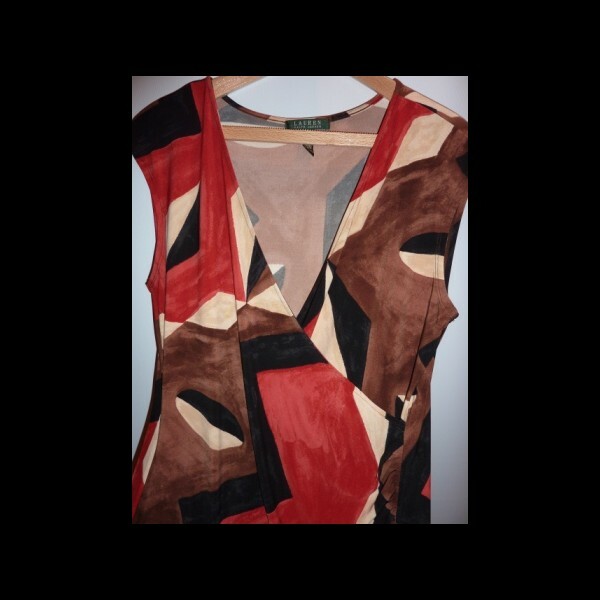 Chestnut and Crimson sinamay creating a two tone effect, the chestnut showing from the underside. 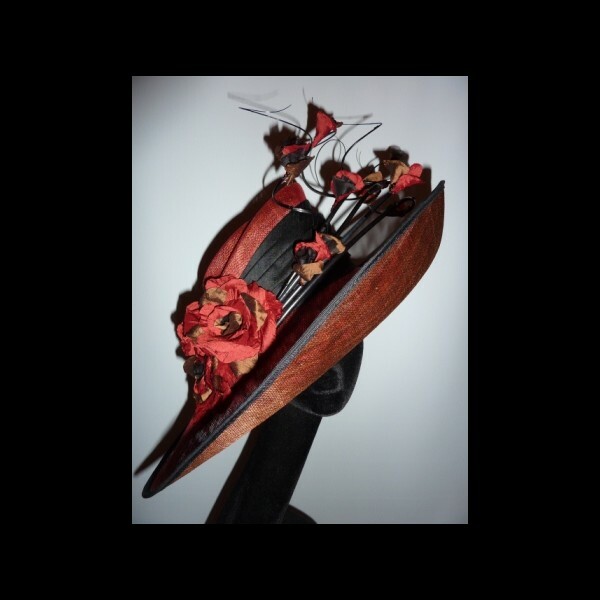 A sculpted crown with a large east to west brim, upturned at the front and to one side.The brim measures 50cm from side to side and 46cm front to back. 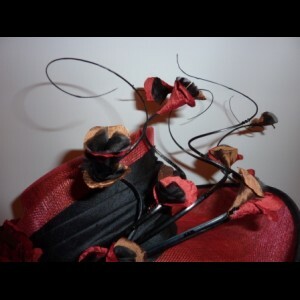 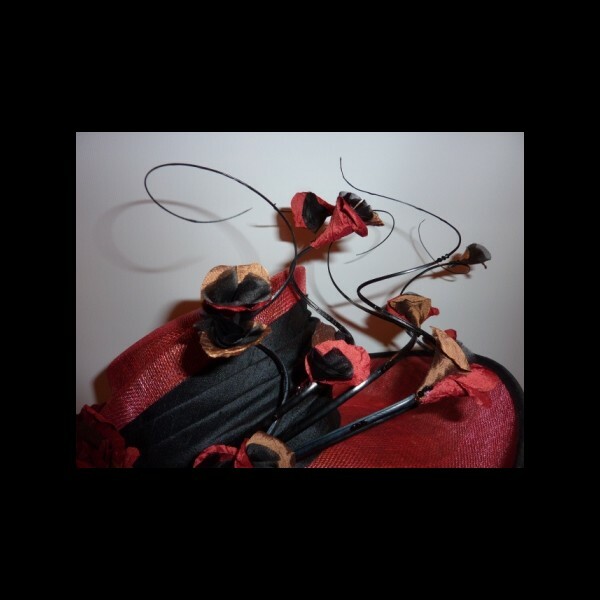 Hand-tooled silk flowers and buds adorn the hat, the buds emerging from a riot of entwined curling black quills. 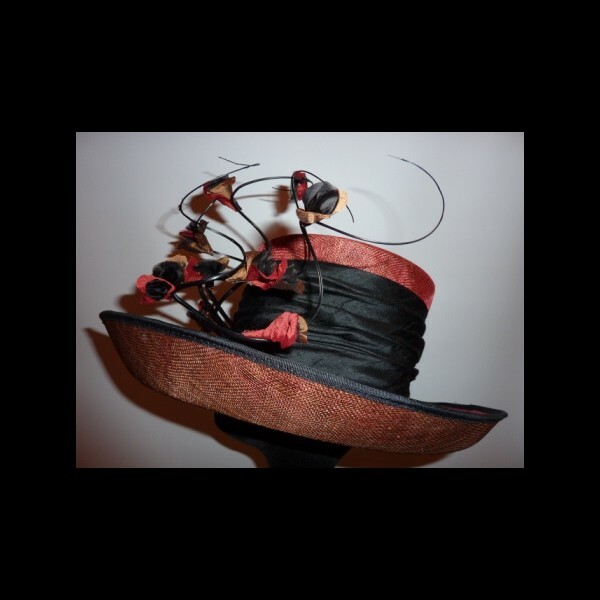 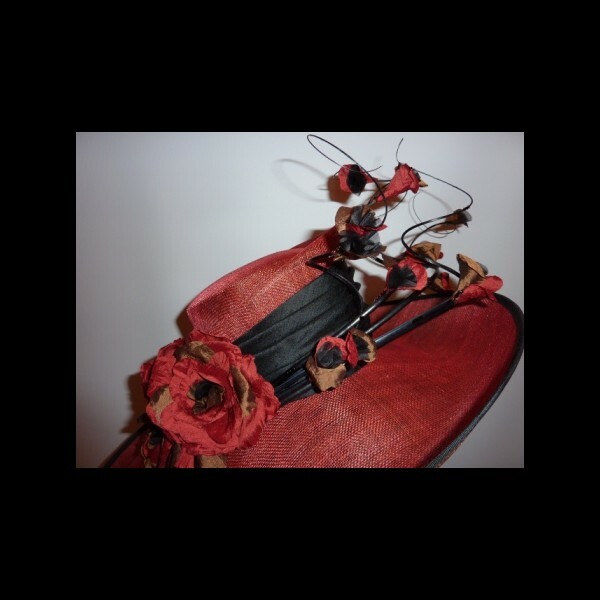 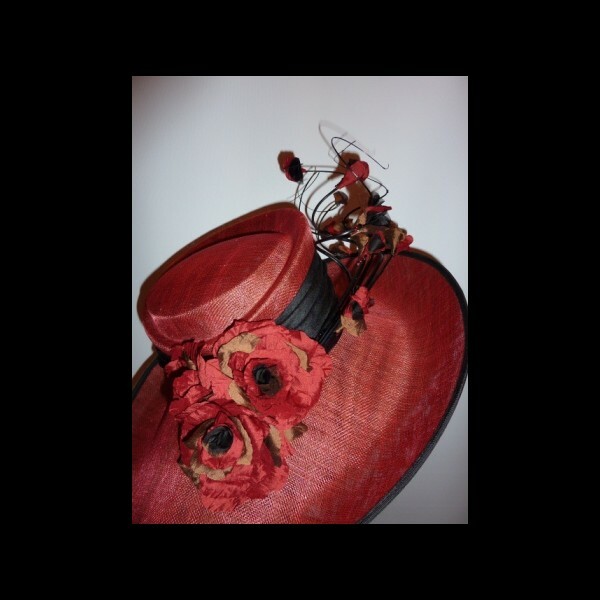 A discreet scattering of Swarovski crystals in Jet Black, Red Magma and Smoked Topaz completes the hat. 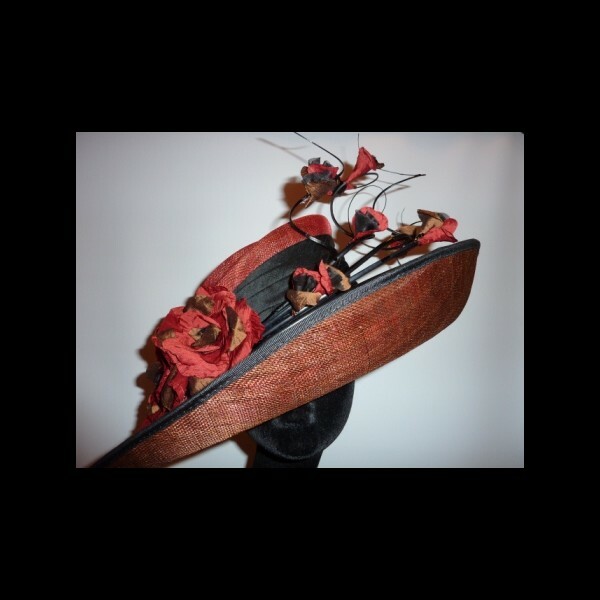 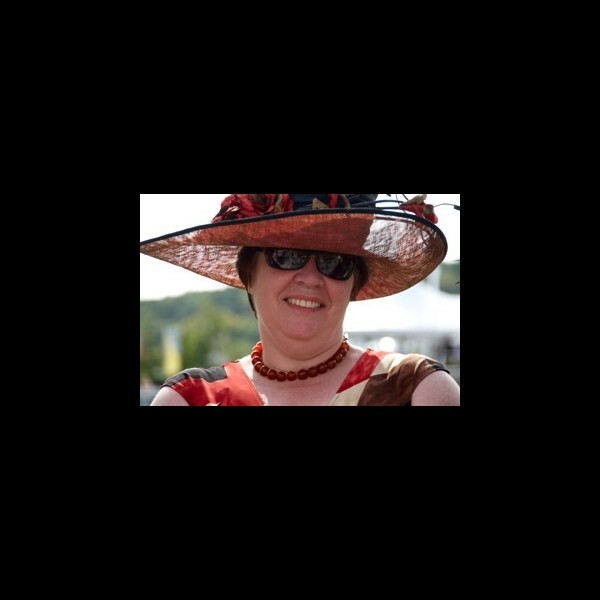 The dress shown in the last picture was the inspiration for this hat - a Ralph Lauren - not available for, or included in the hire of this hat.